Twelve years ago, Jane Tranter (former controller for BBC Drama) and producer Julie Gardner were fundamental in the revival of Doctor Who. 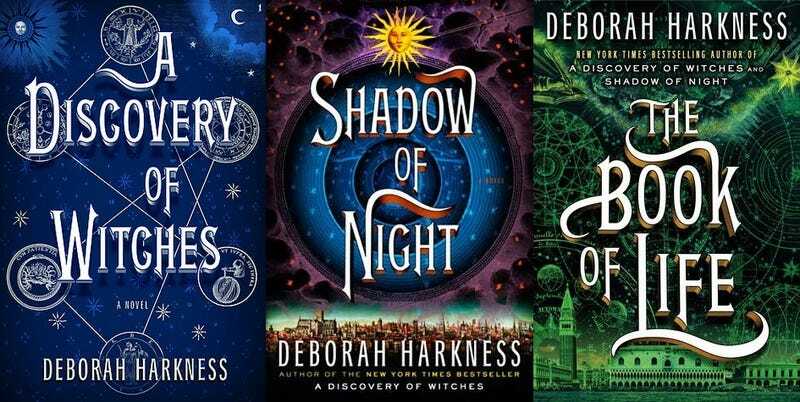 Now, the two have formed a production group, and they’re turning to the supernatural books of Deborah Harkness for their first show: A Discovery of Witches. Bad Wolf (yes, it’s a Doctor Who reference!) is looking to adapt the first book in Harkness’ “All Souls” trilogy, a series about a young scholar at Oxford who discovers that she is a descendant of the witches burned in Salem in the 17th century and delves into the world of magic that’s in her blood. Ashley Pharoah will script most of the series—which had previously been in the works at the BBC before stalling—with Harkness herself writing multiple episodes. It’s interesting to see this resurgence of fantasy (or particularly, romance/fantasy) again in the wake of the Twilight saga dominating the genre, for better or worse. But the thought of two of the brightest minds behind the return of Doctor Who teaming up on a new series is just plain exciting.